The entity identifier can either be manually assigned, or it can be automatically generated by an identity column or a database sequence. In this post, I’ll show you how you can mix the assigned generator with an identity column or a database sequence. None of the built-in identifier generators allows you to mix a manually-assigned identifier with an automatic assigning strategy. Let’s assume that our current entity takes a positive identifier value when the primary key is assigned by the database, while the negative values are reserved for a batch process that imports data from a legacy system. We can, of course, do the same with a sequence generator. The only difference is that, this time, we are extending the SequenceStyleGenerator. 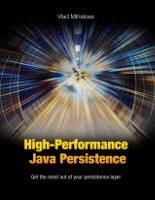 Although you might not bump into such a requirement, it’s important to know that Hibernate is highly extensible, allowing you to customize the built-in mapping strategies. Given a fresh database and 2 rows are added by manually assigning id 1 and 2. If another row is added using auto generation, will it be added with id 3 or 1 (which will cause an exception)? It will throw an exception. If you want to mix AUTO and manually generated identifers, then use negative numbers for the manually assigned ones. Thanks for this article, helpful indeed; what hibernate version was used please? Thanks. 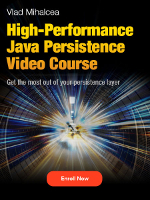 Check out my high-performance-java-persistence GitHub repository and you will find the answer to your question. There are several tags which indicate the Hibernate versions relative to the underlying test classes.